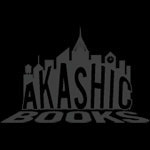 Welcome to Akashic in Good Company, a regular feature where Akashic spotlights the remarkable people and places in today’s publishing industry. This is where you’ll find managing editor Johanna Ingalls’s in-depth profiles of literary agents, bookstore owners, publishers, and many others; our Indie Bookstore Spotlight and photo tours; reviews of works from other small publishers; and additional posts highlighting our colleagues in other corners of the publishing world. To celebrate the release of Fair Play: How LGBT Athletes Are Claiming Their Rightful Place in Sports, we’re pleased to share a spotlight on Outsports, cofounded by author Cyd Zeigler. Learn more about New Orleans Noir: The Classics editor Julie Smith’s ebook publishing company, booksBnimble. To celebrate the release of The System of Dante’s Hell — the long-awaited reissue of Amiri Baraka’s remarkable 1965 novel, featuring a new introduction by Woodie King Jr. — we’re pleased to feature a spotlight on Woodie King Jr.’s New Federal Theatre. Akashic intern Rebecca Patis reviews The Raging Skillet: The True Life Story of Chef Rossi by Rossi (The Feminist Press). Akashic intern Rebecca Patis reviews The Feminist Utopia Project: Fifty-Seven Visions of a Wildly Better Future, edited by Alexandra Brodsky & Rachel Kauder Nalebuff (The Feminist Press).